Skateboarding has many icons and living legends who have made their marks on the progression of skateboarding. Past generations paved the way for future generations and it is always was time to celebrate our heroes with some kind of award. Well, for a couple of years ago, a survey was open on a website (at www.surveymonkey.com) by the IASC (International Association of Skateboard Companies) and we were all supposed to give our opinion. I did and I hope you did it too. For those who did not know, a list of the best skaters from the past 4 decades (60’s, 70’s, 80’s and 90’s) was posted on the site and anyone could log-in and vote for someone from the list. The idea behind the survey was to elect the skater who has been most influential throughout each decade: people who have invented, shaped, improved skateboarding and lead the movement with their resilience, talent, passion and respect is due for their contribution. Bruce Logan won one of those awards. Thanks to Logan Earth Ski, Bruce Logan is originally credited for making skateboarding an international spectator sport, by traveling around the world in the early seventies, putting on exhibitions, performing amazing tricks that he created competing in international competitions, winning dozens of world champion titles, including the first trophy ever given for Skateboarding world champion. One of the last titles he won was against a cocky new comer by the name of Tony Hawks the third winner of the IASC survey. Bruce Logan is truly the first example of skater legends turned successful entrepreneurs. 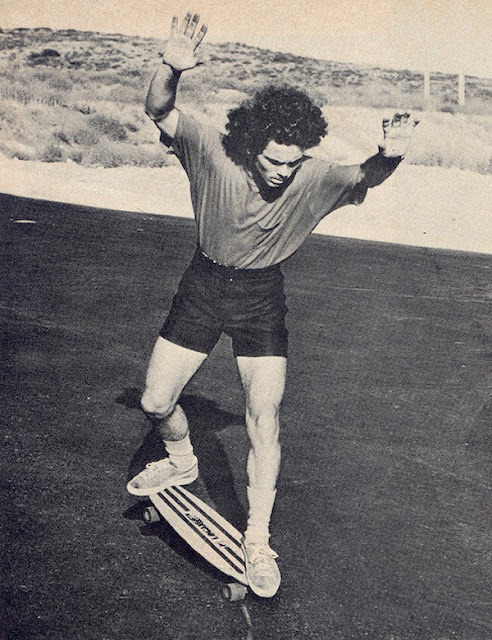 After the Makaha fame, in 1973, he switched from skate stardom status to business entrepreneur by manufacturing skateboards with his brother Brad Logan, out of their garage on Cambridge Ave in Cardiff. 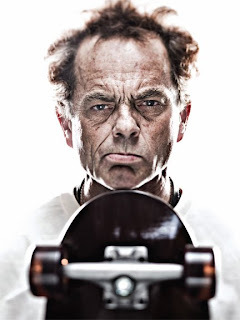 Logan Earth Ski was born and was soon to be one of the world’s biggest skateboard companies through the 70s. Bruce’s name on a skateboard sold more skateboards than anyone’s. His name was synonymous with success, fame and lots of money: the Bruce Logan skateboards were the best seller at the time, with millions of units sold. ﻿ Bruce’s quick rise to fame and wealth brought with it a constant exposure to parties and cocaine, to which he eventually lost his good fortune, as did so many others in the 1970's and 1980's professional skate and surf community (Jay Adams, Christian Hosoi...). The 1975-76 World Champion Bruce Logan went from being the highest paid and most famous skateboarder in the world in the mid 70’s to a homeless street junkie. By the mid 80s Bruce’s life would be lost in 30 years of mornings after and homeless desperation. To that date, Bruce stills skate and is even sponsored by Gravity.